It is hard to connect back to the people whom you only met once at the event or to the people that you only have conversations through online. You may never know if they still remember you or not. But there’s a solution for that: a networking email. 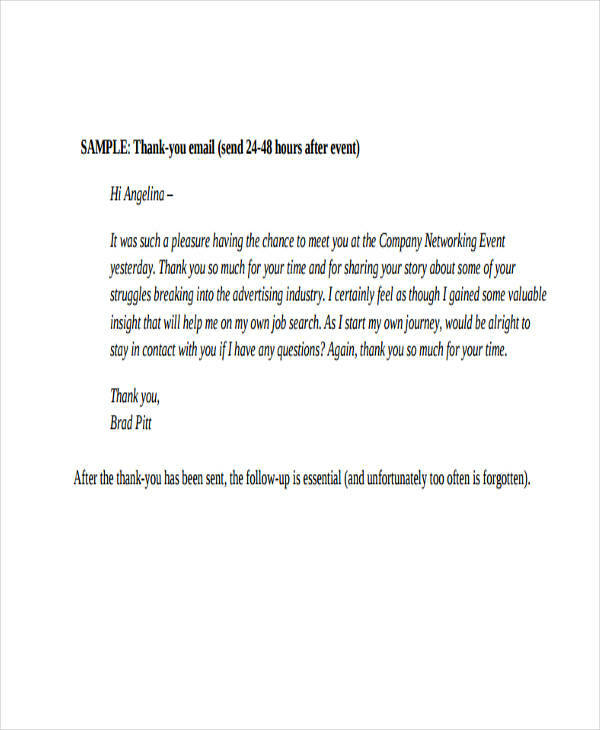 A networking email is a great way to reach out to people you’ve lost touch with. It is simple and short yet effective. Especially when 91 percent of people check their email in pdf every day. Networking email is still the predominant way of reaching out, and most people today still use it. 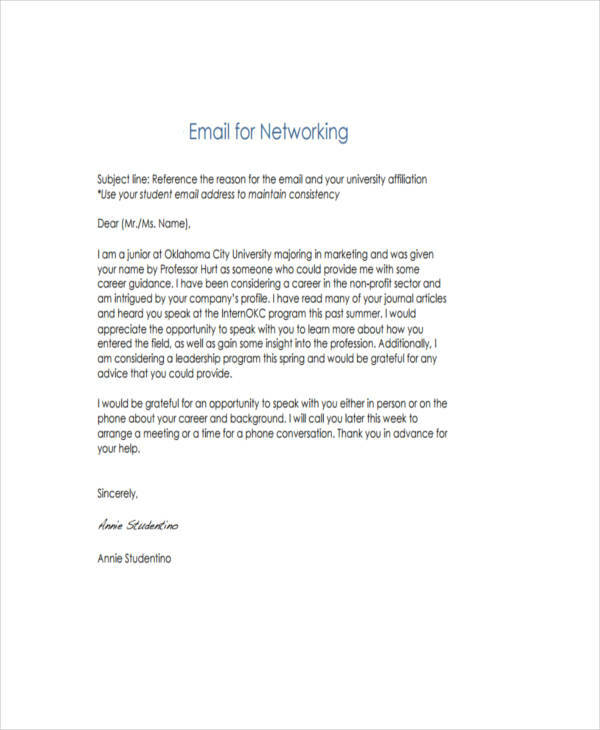 What Is a Networking Email? 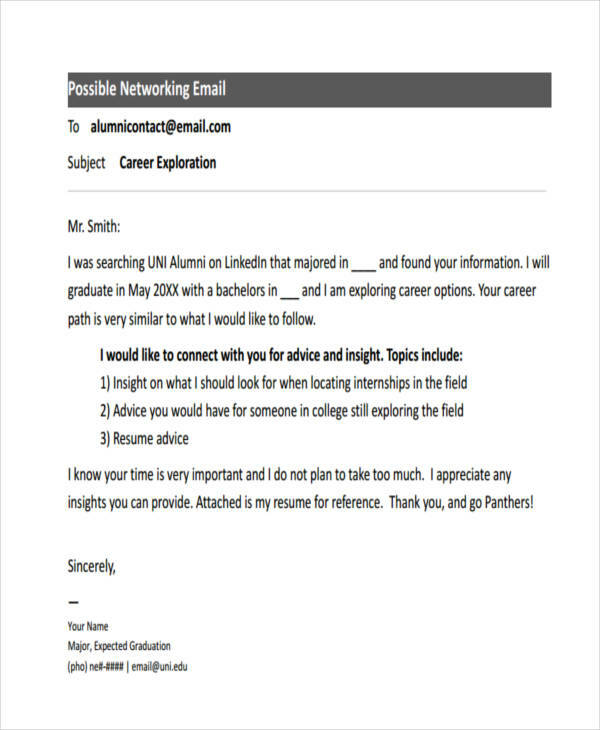 A networking email is an email you send to connect or talk with people you may or may not know, or the people that you have met at a particular event. A network email signature is used when you have to discuss some important matter regardless of how long you have known each other. It is also used when you want to reach out to your colleague back in the day. 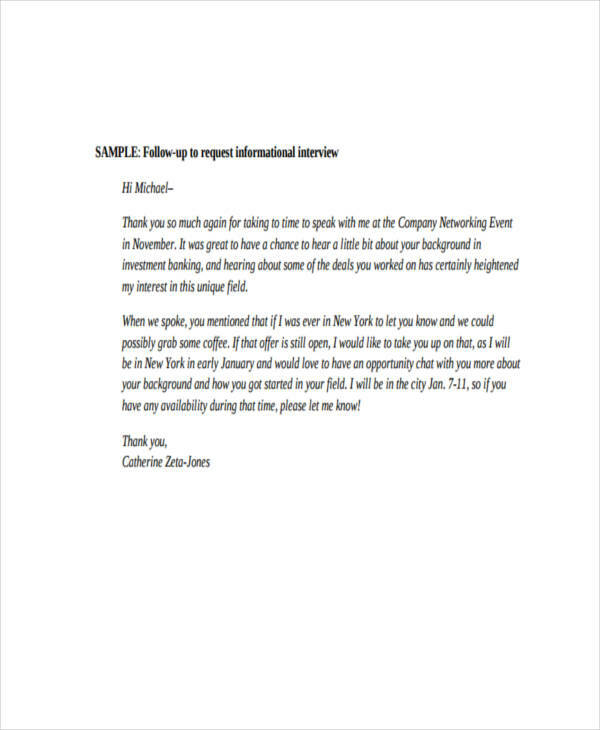 If it is an professional email for someone you have met once at a particular event long ago, here is the information you need to include. Your name. It should be complete so that the recipient will remember you. The event. Where you two met. The things you did or a specific activity where you two work together. This is an additional information in case the recipient still has a hard time remembering you. The reason(s) why you reached out to them. The project that you two have worked together. The reason(s) why you emailed him/her. 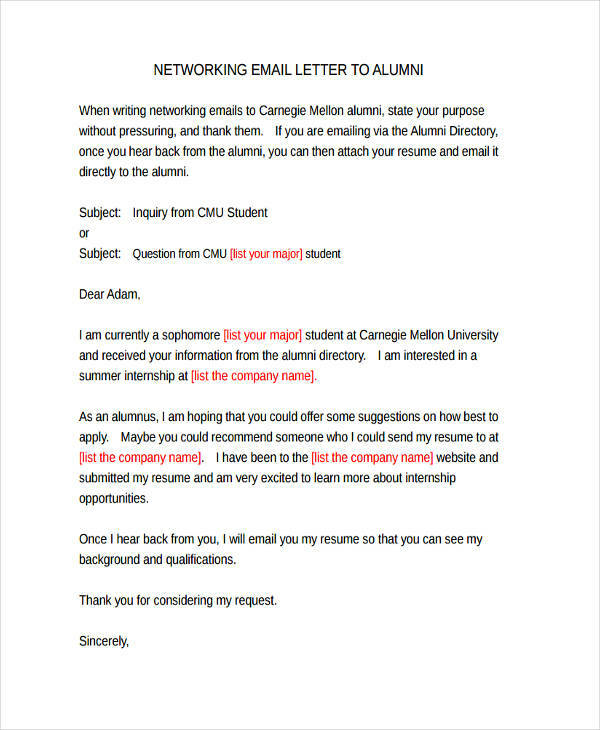 In writing a networking email, your relationship to the recipient is the most important part. It is where you determine what kind of networking email you have to write. 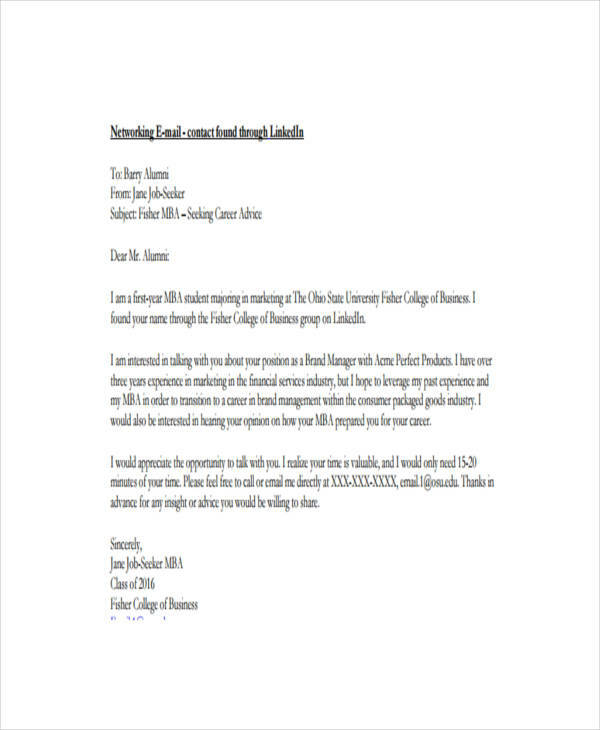 But whatever reason it may be, your networking email should be a kind of formal email where following some important tips is still the best idea. Here are few of those tips. Be human. Remember that you have known this person and you spent time together so the “whom it may concern” type of greeting is not appropriate. Greet the person like you have known each other for a very long time and their help will mean so much to you. Address it to the right person. This relates to the first tip. You know who’ll your sending for so addressing him/her properly is the best idea. Be concise. You never know that the person you are writing for is now busy with his/her stuff. 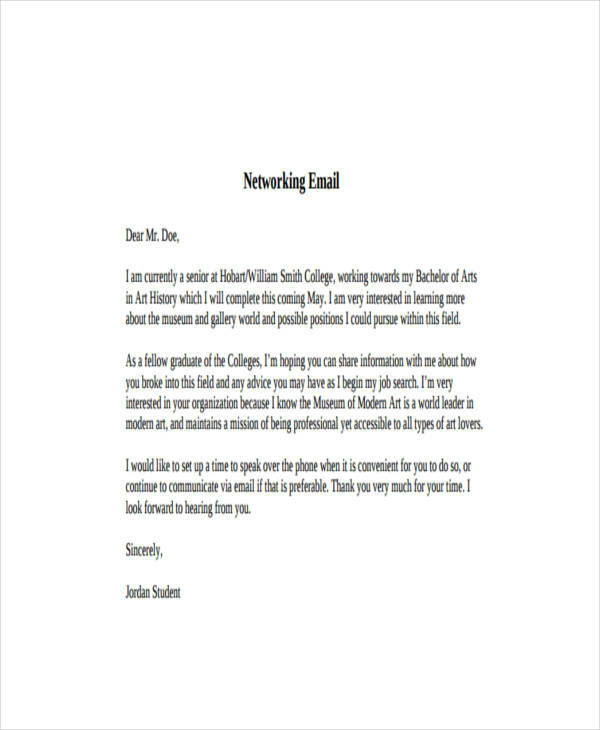 Make your email concise so that it will be faster to read and catch up. Be patient. It is not like they respond immediately to your email after they receive it. Give the person time remembering you or a time finding a schedule in meeting up with you. You never know, they will send a meeting email to you.